Titanium Thumb lugs. Thumb notches, phosphor-bronze washers, bead blast titanium rear handle with integral side-lock. Blast Titanium front handle . Polished stainless screws, pins & pivot. Titanium backspacer washer. BLACK MICARTA INLAYS ON BOTH SIDES. Thonghole, bead blast titanium clip. 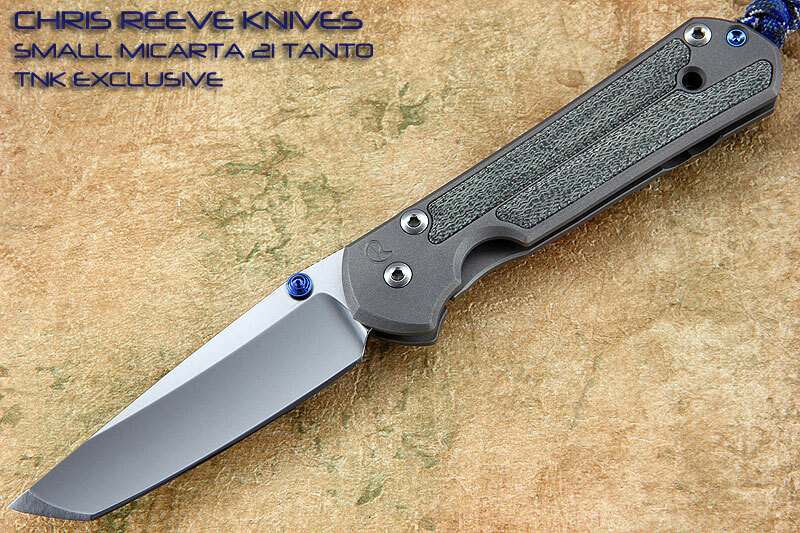 A Chris Reeve SEBENZA is guaranteed by the company for life, under proper use. Not only are you buying an award winning cutting tool, you also become a part of the Chris Reeve family.